This book investigates the political, social, cultural and economic implications of self-translation in multilingual spaces in Europe. 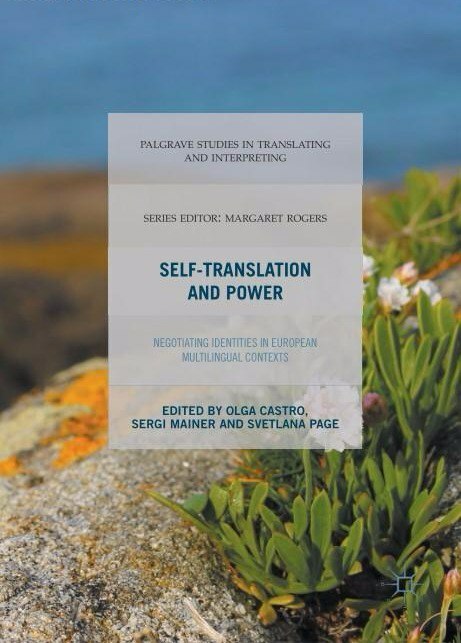 Engaging with the ‘power turn’ in translation studies contexts, it offers innovative perspectives on the role of self-translators as cultural and ideological mediators. The authors explore the unequal power relations and centre-periphery dichotomies of Europe’s minorised languages, literatures and cultures. They recognise that the self-translator’s double affiliation as author and translator places them in a privileged position to challenge power, to negotiate the experiences of the subaltern and colonised, and to scrutinise conflicting minorised vs. hegemonic cultural identities. Three main themes are explored in relation to self-translation: hegemony and resistance; self-minorisation and self-censorship; and collaboration, hybridisation and invisibility. This edited collection will appeal to scholars and students working on translation, transnational and postcolonial studies, and multilingual and multicultural identities.